Earth is full of a wide variety of creatures. Living organisms need to hear, think, see, and adapt with precision in order to evolve, flourish, and survive on this planet. The animal kingdom is built around primates, mammals, rodents, cetaceans, marsupials, birds, reptiles, and mollusks, to name a few. As humans, we pride ourselves on being the dominate thinkers and smartest species. This has lifted us to the top of the food chain, but many animal populations have also been successful in breeding, expanding, and adapting to world and climate conditions. It is amazing to see that some animals actually have a certain sense of natural phenomenon that is unknown to humans. The best example of this is the 2004 Indian Ocean earthquake and tsunami. Many species of animals were seen heading for the hills before any tsunami danger was evident to humans. Animal populations are much smarter then many humans give them credit for. They have languages, mannerisms, rules, and goals for survival. Here is a list of the Top 10 Smartest Animals and the reasons why they are so special. This species is a member of the Portia genus of spiders and is definitely the smallest creature on the list. Also known as the White-Mustached Portia, they inhabit wastelands and secondary forests in Africa, Asia, and Australia. These spiders have demonstrated learning abilities in laboratory tests and have been labeled the smartest bugs in the world. They perform astoundingly well on numerous problem solving tasks. One of their principle skills is luring other spiders from their webs for food. To do this they will pluck out rhythms at the corner of a web to mimic a trapped bug or insect intruder. If the Portia has encountered this type of spider before, then it will remember what rhythm pattern to use in order to achieve success. The Portia labiata has great eye sight and has been seen using incredible instinctive behavior. The spider uses a planned trial-and-error approach to hunting and shows a strong cognitive base. As the prey comes and goes, the spider will sit and wait for hours until it has a perfect moment to strike. Subsequently, plotting ahead and understanding that the meal will eventually return. These spiders have also shown signs of selective attention by identifying specific objects and prey over others. There are hundreds of rat species throughout the world. Rats are one of the most studied and tested animals on the planet. They have been research and test subjects for numerous famous and influential physiological studies. The reason for this is that a rat’s psychology is similar to humans and they are great for experimental comparisons. All rats learn new behaviors and tricks very easily. A 2007 study found that rats possess metacognition, which is a mental ability that has previously only been documented in humans and some primates. Rats have an amazing sense of smell and hearing. They have been trained to detect land mines and bombs. Recent research and technology has suggested that rats can even smell and identify human sputum samples infected with tuberculosis. These animals are incredible at solving mazes. Rats are social creatures and display signs of remorse, excitement, loss, and stress. They dream in a very similar way as humans. They also show amazing organizational and grooming techniques. Just remember, rats are smart and friendly creatures so don’t fear them. I included this funny rat clip. I have bundled these two together because they are both members of the corvidae family of birds. This family is widely considered the most intelligent of all birds. Crows top the avian IQ scale, which is a scientific test to determine bird intelligence. They can count, distinguish complex shapes, and perform observational learning tasks. Crows are extremely social creatures and will engage in mid-air jousting to establish pecking order. Wild hooded crows in Israel have learned to use bread crumbs as fish bait, thinking in advance and anticipating the catch. The New Caledonian Crow has been intensely studied because of its ability to use tools in its every day search for food. This includes creating knives which are cut from leaves and stalks of grass. They also use advanced plucking, smoothing, and bending of twigs and grass stems to produce a variety of food substances. Ravens are similar to crows, but larger in size. Both species are black in color and the main difference is in their vocalizations. Ravens perform many of the same behaviors as crows, but they have been recognized for their ability to drop nuts, clams, mussels, and shells on to the highway, wait for a car to run them over, and then gather the prize. The Border Collie is widely considered the smartest dog breed in the world. They usually spend their time sheep herding and handling many forms of livestock, but also make a great pet. With physical exercise and various forms of mental stimulation these dogs are the quickest to learn. The breed originated on the Scottish, Welsh, and English border and the dogs made an instant impact on the farming industry. It has been determined that in certain areas of the Australian Outback a trained collie will do five times the amount of work that a human could manage. The Border Collie dominates dog sports above all other breeds. They excel at high jump, utility courses, fly-ball, and can even take first place in dog dancing competitions. They have an amazing sense of smell and are widely regarded as great tracking dogs. They can be trained as drug dogs or in search and rescue as well. This dog will clearly recognize you as an individual personality, they will learn your routine, anticipate what will happen next, and find ways to get what they want. This creature lives in the depths of the ocean. They belong to the cephalopod family and the mollusk class. All species of cephalopods are known to have incredible intellectual ability. The octopus is considered the smartest invertebrate alive. In experimental conditions these animals have displayed both short and long term memory. They have incredible observational learning and problem solving ability. Octopuses have an extremely large nervous system, but only a portion is found in their brain. Around two-thirds of an octopus’ neurons are found in cords around and in its arms. There arms have a remarkably large autonomy. They are masters of mimicry and camouflage. They are professional escape artists and can often be found in the hull of crabbing boats, feeding on the catch. These animals have incredibly keen eyesight, sense of touch, and are very fast. There are reports of a North Pacific Giant Octopus reaching 600 pounds, with an arm span of 30 feet. They don’t make great pets or zoo attractions. In one recent story, an octopus flooded the Santa Monica Pier Aquarium by turning a valve and allowing hundreds of gallons of water to overflow the tank. The African Grey is a species of parrot that is found in the West and Central African rainforest. 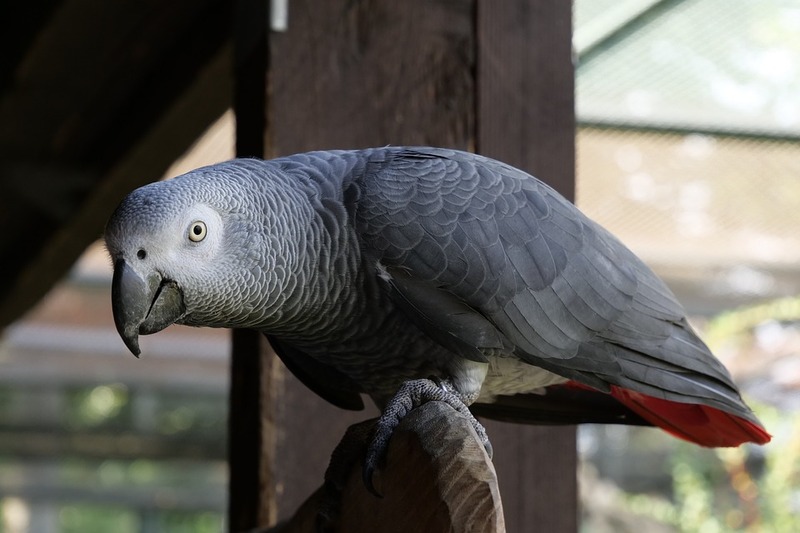 Parrots have long been able to show that they can mimic human speech, but the African Grey can associate words with their meaning and form small sentences. These birds communicate with each other through song, calls, and body language. African Grey’s can easily be trained to have conversations and perform activities. They are accomplished mimics, recreating voices and household noises perfectly. One specific example is Alex the bird. Alex can identify more then fifty objects, seven colors, five shapes, and a numerical value up to six. He understands the difference between big and small, over and under, and has even showed comprehension of emotion by telling his handlers “gonna go away” when becoming bored with testing. Then there is the story of the African Grey Parrot in Nagarey, Japan who was lost by his owners, wounded, and sent to a veterinary hospital. While in the hospital the bird began to talk with the vet proclaiming “I am Mr. Yosuke Nakamura.” He also gave his full home address right down to the last number. Sure enough he was right and returned to home, but not before entertaining the hospital with song and dance. There are three living species of elephants, the African Bush Elephant, African Forest Elephant, and the Asian Elephant. All breeds are thought to inherit the same genetic genius. In many cultures elephants are seen as a symbol of wisdom and are known for their incredible memories. They create mental maps and are said to remember exact locations of watering and feeding holes they haven’t visited for years. An elephant’s brain is the largest of any land animal. Elephants have incredible hearing and they use both their ears and trunk to listen. They communicate by bellows, roars, trumpet-like calls, and can even transmit sound over long distances using the ground. These animals are one of few species that have displayed mirror self recognition and can identify themselves as independent. This is considered a base test for empathy, altruism, and higher social interactions in a species. Elephants have been noted performing a wide variety of behaviors. Including actions associated with grief, making music, compassion, play, and advanced use of tools. Elephants have an incredible sense for artistic achievement. They can paint portraits that express themselves. Check out this amazing video of an elephant painting a three-dimensional picture of another elephant. Besides humans, the macaque genus is the most widespread in the world. The Rhesus Monkey is well known for its intelligence and because of this has been used extensively in biological and medical research. These animals have an incredible memory, ability to learn, and make self-decisions. They use facial expressions that are very similar and understood by humans. Rhesus Monkeys have displayed suicidal tendencies, planned attack, and are very socially complex animals. They have detailed vocal systems that share similarities with human communication. Work on the genome sequencing of the Rhesus Monkey was completed in 2007, making it the second non-human primate to have this done. It showed that humans and macaques share 93% of their genetic DNA. The human and macaque chromosomes are mosaics of each other. This species of monkey, along with many others, has been used for monkey-baiting throughout history. This is a roman style fight between monkey’s and other exotic animals. Monkey’s performed admirably in these competitions, winning with intelligence. From this spawned the legend of Jacco Macacco, who was a celebrated monkey gladiator. With incredible technique and precision he usually dispatched of his opponent in three minutes or less. The cetacean family, consisting of dolphins and whales are considered the smartest animals inhabiting the ocean. The Bottlenose Dolphin lives in warm waters throughout the world and is the smartest species of dolphin. It has an extremely large brain and its cerebral cortex and frontal lobe are 40% bigger then a human. The cerebral cortex is the area of the brain responsible for social communication, abstract information processing, problem solving, and higher lever intelligence. Bottlenose dolphins are very easily trained. They have been found to have the ability to reason, plan, solve problems, think abstractly, comprehend ideas, and learn from previous experiences. They use echolocation to hunt prey and certain forms of squeaks and whistles to communicate with each other. It is also interesting to see that in many occasions these dolphins show remorse for other species and signs of a conscious. In one recent story, a local dolphin named Moko saved two beached Pygmy Sperm Whales in New Zealand. The whales had been stranded for hours when Moko showed up and led the pair through the sand bars to safety. It was a glorious sight for locals and made national news. These animals can be found in the tropical forests and wet savannas of Western and Central Africa. Chimpanzee’s learn, perform organizational thinking tasks, and have a better memory then any other animal. They have been known to defeat college educated people in memory exams. They can be taught to use computers to solve numerical problems. This animal can quickly adapt and perform sign language to communicate with humans. 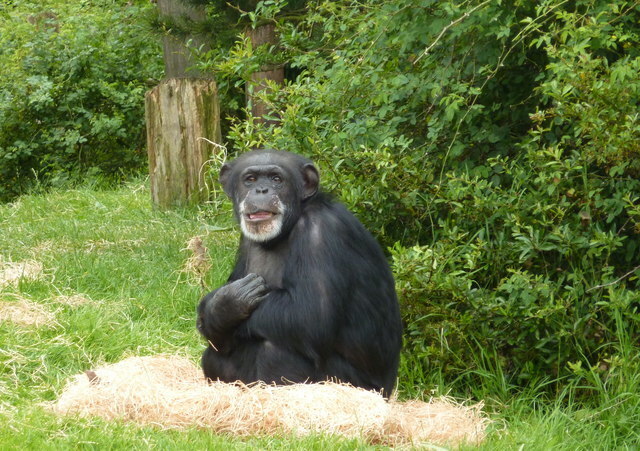 Chimps have been observed using advanced knowledge of tools. This includes creating spears to retrieve animals out of small holes in trees, using branches to lure and catch prey, using stones to crack nuts, and leaf sponges to soak up water. They have been viewed using tactical attack maneuvers, such as flanking their prey. They often use mental manipulation within their families. The Chimpanzee Genome Project was completed in 2005. It showed that chimps share 98% of the same genetic DNA as humans. It has been approximately four to six million years since humans and chimpanzee’s diverged from their common evolutionary ancestor. Recently, chimpanzees have been seen teaching sign language to their infants without human interference. We have just begun to understand the chimpanzees true mental capabilities. I was thinking why the controversy over this rating…Hmm,but if you thinks some animals are smarter than humans,may be,somebody should bring them here to defend themselves.Simple! What about Whales (other than Dolphins), Ants or Bees? Bees dancing to show the exact location of flowers in relation to the Sun sounds pretty intelligent to me! I don’t think humans can do that! this is bugging me bad. Mussels. Not muscles. Oh, that is embarrassing. Thanks for catching it. I feel uncomfortable reading a list of smartest animals that is deduced by how near they approach human thinking without seeing humans listed as number one. I know it’s obvious so they left out humans but this kind of classification shouldn’t be acceptable because we have children and even some adults that don’t realize humans are an animal species. Why the homo sapiens is not in this list?They are really smart animals. “Yeah why arent homosapiens on this list are you calling me dumb?” Jesus christ we came here to read about smart animals, not help your pathetic fragile ego. Thats why youre not on the list.